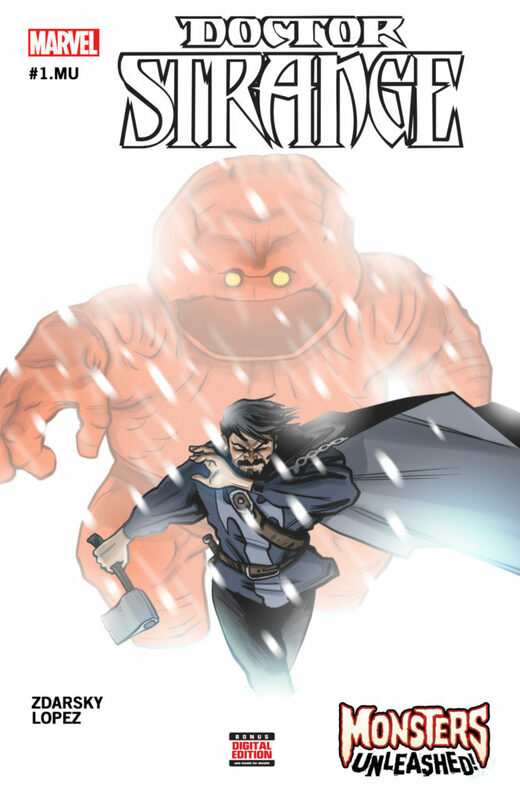 Monsters Unleashed One Shots Coming in Feb! As skyscraper-sized behemoths rampage across the Marvel Universe – it’s all hands on deck as heroes from across the globe mobilize to combat endless monster hordes! Cullen Bunn and five superstar artists are poised to bring you a blockbuster epic that has to be seen to be believed beginning in MONSTERS UNLEASHED #1. With action so big, it’s spilling out into the rest of the Marvel Universe! Today, Marvel is pleased to announce the next four Monsters Unleashed tie-in one-shots for the month of February – DOCTOR STRANGE #1.MU, CHAMPIONS #1.MU, UNCANNY INHUMANS #1.MU and ALL-NEW X-MEN #1.MU! First up, it’s massive monster mayhem in DOCTOR STRANGE #1.MU. The good doctor would have a hard time taking down these monsters at peak strength – how do you think he’ll do now that his magic has been diminished? 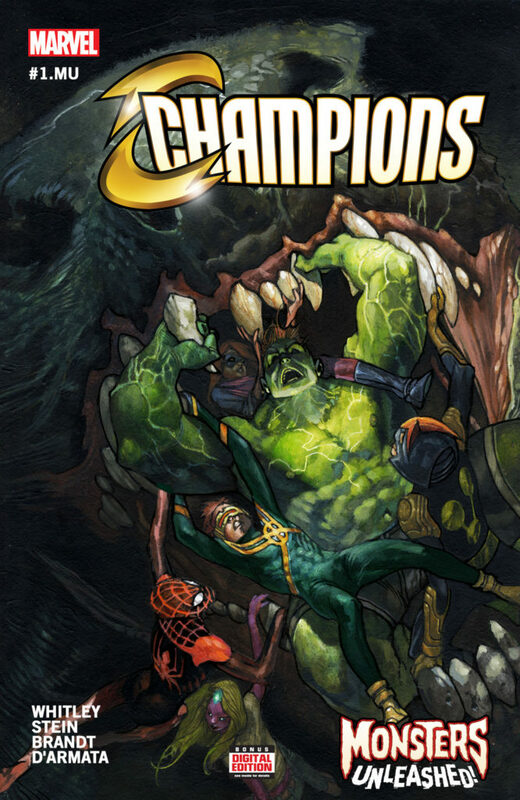 Next, Marvel’s newest teen team supreme goes head-to-head with giant monsters in CHAMPIONS #1.MU. As they crash headlong into their first big conflict, will they find they’re in over their heads? 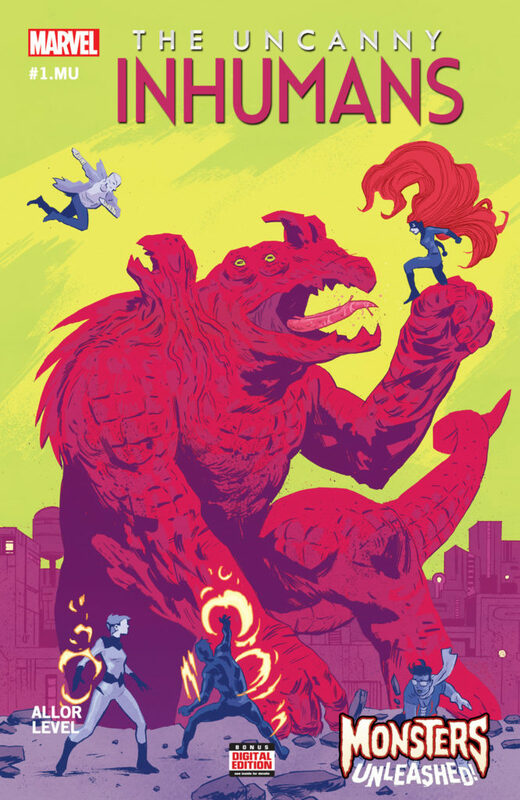 Then, she’s the best there is at what she does – but what she does ISN’T fighting giant monsters. As the X-Men head to New Orleans in ALL-NEW X-MEN #1.MU, what they uncover deep in the bayou could help turn the tide before it’s too late! 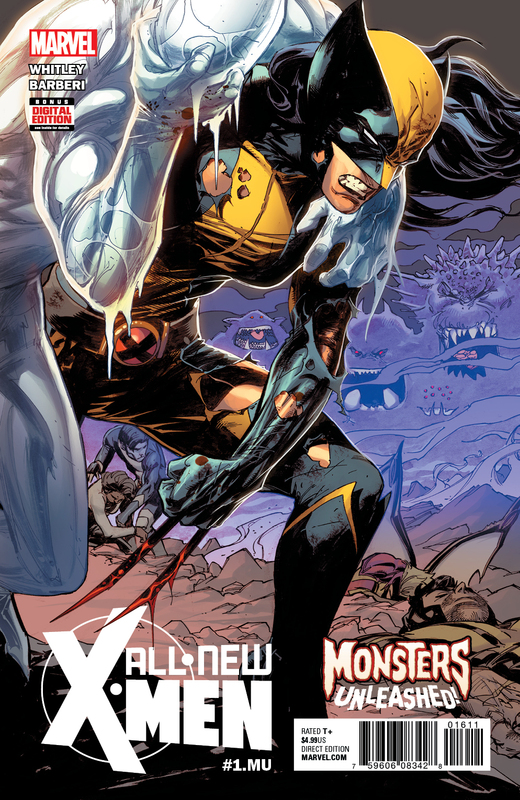 Finally, Crystal and her crew head to Italy for an epic throw down in UNCANNY INHUMANS #1.MU. They’ll have a hard enough time shutting down one monster, but when two make landfall in Rome – Crystal and her crew of Inhumans will have to dig deep if they want to save the city and everyone in it! These four blockbuster titles join January’s Spider-Man/Deadpool #1.MU and Avengers #1.MU! Something big is coming to the Marvel Universe, True Believers. You won’t want to miss a moment of the monster madness when DOCTOR STRANGE #1.MU, CHAMPIONS #1.MU, UNCANNY INHUMANS #1.MU and ALL-NEW X-MEN #1.MU come to comic shops and digital devices everywhere throughout the month of February! Plus, look for the final .MU one-shots coming in March!